"Bend it, shape it, any way you want it"
I’m about to show you some pictures of a car. Not just any car, but a powerful, luxurious, and stunningly beautiful car. A car that has undergone a technological transformation. If you’re like me, you'll be fascinated by the car’s features, some of which have never been seen in a vehicle — until now. But if you can, remember that it isn’t just about the cool features. It’s also about the platform that enabled them. I’m speaking, of course, of the QNX CAR application platform. 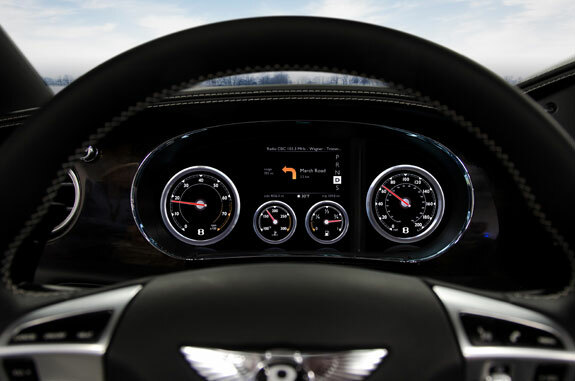 We created the new QNX technology concept car — a modified Bentley Continental GT — to demonstrate that flexibility and customization form the very DNA of the QNX CAR platform. 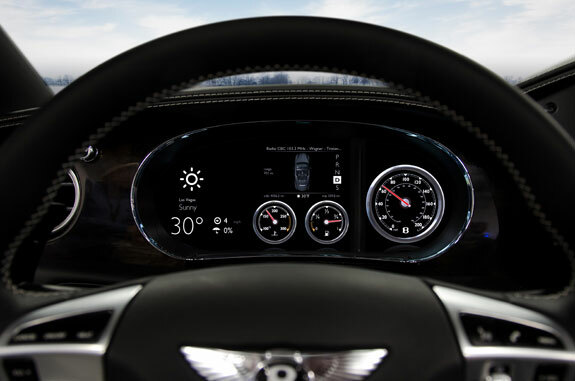 If you’ve seen the QNX reference vehicle, you already know that the platform provides an extremely rich environment for in-car infotainment, complete with HMI frameworks, smartphone integration, an HTML5 engine, a mobile device gateway, and a host of pre-integrated partner technologies — everything to kickstart our customers' projects. But in the automotive world, differentiation is everything. So it’s just as important that the platform enables customers to add their own branding, features, and sizzle. And to do it quickly. Which is where the new concept car comes in. To create it, we used the same base QNX CAR platform that we offer our customers. 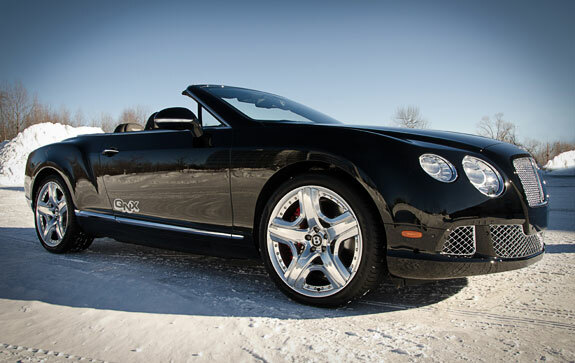 But when you compare the Bentley to the Jeep, which uses a stock version of QNX CAR, the differences are dramatic: different features, different branding, and a different look-and-feel. In effect, the Jeep shows what QNX CAR can do out of the box, while the Bentley shows what QNX CAR lets you do once you start bending it to your imagination. One platform, many possibilities. Which brings me to the slogan at the top of this post. It's amazing to think that a core value of QNX technology in the 1980s — giving customers the flexibility to achieve what they want to do — remains just as true today. Some values, it seems, are worth keeping. Time to talk to the car. Just say “Hello Bentley,” and the car’s voice recognition system immediately comes to life and begins to interact with you — in a British accent, no less. You can now tell the media player what you’d like to hear and the navigation system where you’d like to go. To provide natural language speech recognition, the system uses the cloud-based AT&T Watson speech engine, as well as an “intent framework” from QNX. It also uses keyword spotting technology from Sensory so you can start the system simply by talking to it. UPDATE: The web app is now live, and the desktop version features a live camera feed of the Bentley and Jeep. Check it out! The instrument cluster is implemented entirely in software, though you would hardly know it — the virtual gauges are impressively realistic. But more impressive still is the cluster’s ability to morph itself on the fly. Put the car in Drive, and the cluster will display a tach, gas gauge, temperature gauge, and turn-by-turn directions — the cluster pulls these directions from the center stack’s navigation system (cool, that). Put the car in Reverse, and the cluster will display a video feed from the car’s backup camera. Advanced multimedia system — Offers direct support for Pandora radio and the first embedded in-car implementation of the Shazam music discovery service. Video conferencing with realistic telepresence — Separate cameras for the driver and passenger provide independent video streams, while high-definition voice technology from QNX offers expanded bandwidth for greater realism, as well as stereo telepresence for making the remote caller sound as if they’re sitting right next to you. 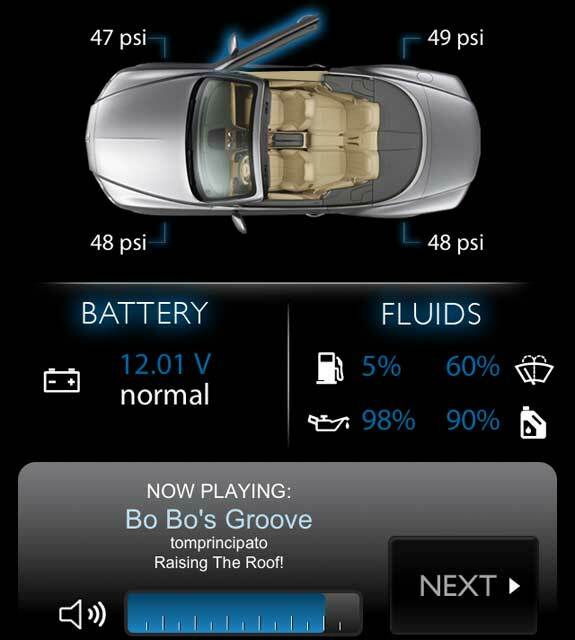 LTE connectivity — The car features an LTE radio modem, as well as a Wi-Fi hotspot for devices you bring into the car. Want to see the center stack and instrument cluster in all their high-resolution glory? 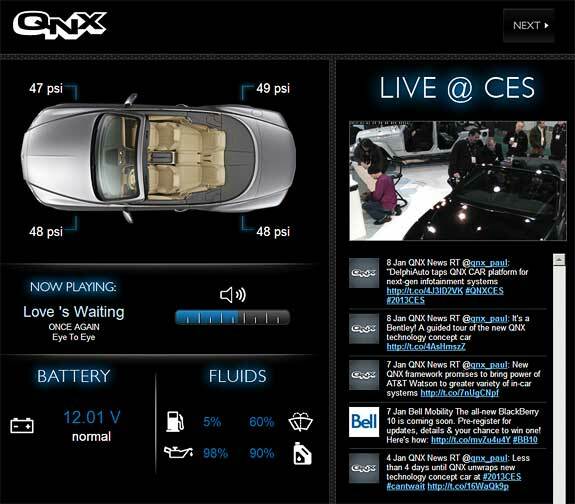 Just check out our QNX Flickr account. That's all for now, but stay tuned: We’ll have plenty more news for you today and all through this week. Very impressive dash! Is the QNX computer reading the various systems using a proprietary interface, or using data on the vehicles data bus? (Or is the information presented just a mock-up). Very polished and very usable! Hi Mike. I'm not sure exactly how it was implemented in this particular demo -- hopefully, one of my (very busy) colleagues at CES will have some cycles to jump in. But if you look at the speedometer in our Porsche concept vehicle, it definitely reads data from the CAN bus. If I remember correctly, we use PPS objects to publish the data -- but again, I'll let some more qualified to comment. In the Prius days (I'm not in the loop on the implementation now! ), the CAN bus was definitely leveraged to provide updates for the digital instrument cluster and the various HMIs. A certain FTDI chipset made it easy to just open() and read() data off it, then parse the CAN codes (provided via a config file and a DLL for more sophisticated OBD2 things - DTCs etc. ), and shoot this data into one or more PPS objects. Awesome work and a detailed article to boot. Would this be available to the mass market and do you have a time to market for this? The infotainment system in most Bentley cars (even the current ones) are starting to look rather dated and the technology simply does not match up to par with the better systems on the market. The only tiny issue i see with this might be the fact that the dash board needs to be modified to fit the computer system, which might put some owner off. If they benefits are far superior to what is offered in the current OEM systems though, i'm pretty sure there would be quite a handful willing to test this out. Note that our concept systems aren’t commissioned by automakers nor do they necessarily represent any automaker's future plans. Day two of CES - QNX, Harman, and Vipers, oh my! Day one of CES — so far so great!